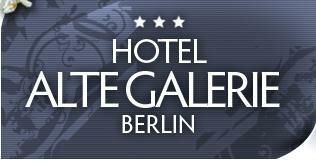 The Alte Galerie Hotel boasts an optimal situation in the heart of West Berlin. The structure is located close to some of the most important places of the area, which our guests can easily reach, like: the exhibition centre ICC at just 10 minutes or football stadium at 20 minutes. Near the hotel there are numerous railway and underground stations, as well as bus stops located at just a few minutes from the hotel, including Zoologischer Garten U-7 (Suburb station), S-Bahn about 8 minutes, Suburbs (U,-S) stations 50 meters. Moreover, our guests can easily reach in some minutes two airports: Airport Tegel (TXL ) by bus n.109 about 15 minutes or Airport Schönefeld ( SXF ) with the S-Bahn about 35minutes.